Dubai is one of our favourite holiday destination, we can come back again and again and it still seems to amaze us every single time. Every time we come here we feel we haven’t explored it all and on top of that there are always billboards and advertisings about what’s opening next in Dubai. For instance, this time around we noticed that soon there will be a Dubai Opera and Dubai Safari. Good enough reason to return back, isn’t it? I say Absolutely! Dubai has the widest variety of touristy offerings and we love how it has adopted the new and has still kept its culture intact…so a traveller can experience the charm of both worlds. Here’s a DIY 6 days itinerary which we followed … hope it would help you guys to plan your own personalised, customised itinerary. Though it’s a very short flight from India and you could plan a bit of action on your arrival day itself, but do keep in mind that the immigration would consume minimum of an hour of your time. 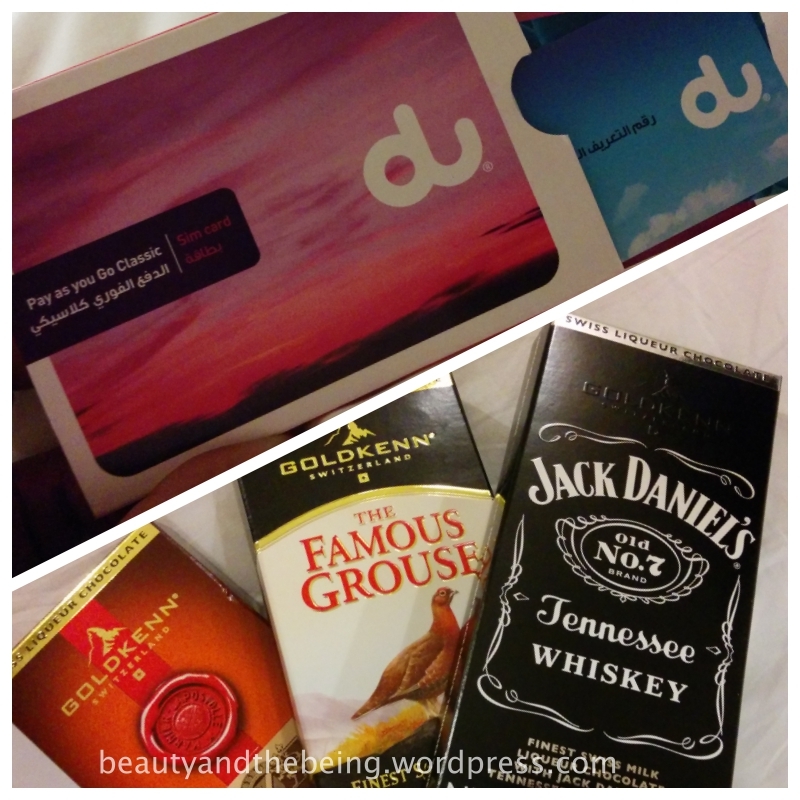 Another thing to bear in mind is that you’ll probably spend time at Duty free, since you won’t find no pints of beer in departmental stores here in Dubai, so it’s best if you pick some from duty free. Do check out the rates and country wise allowances here. Another bit of task which you can complete here at the airport is to buy yourself a tourist SIM card, and my suggestion would be to choose DU mobile’s Visitor Mobile Line, worked just fine for us. Last but not the least, be mindful of the cab you are choosing. At the exit you might get ushered towards the Lexus taxi but try by all means to look for the cream cabs as there is a good amount of price difference. Here’s a link where you can find more about the prices and packages. After spending a good portion of your morning at the Aquarium you might want to indulge in some serious shopping. Apart from the various high-street brands that you will find here we strongly recommend buying two things which are not to be missed at all – Perfume oils (Oud) and Camel milk chocolates. 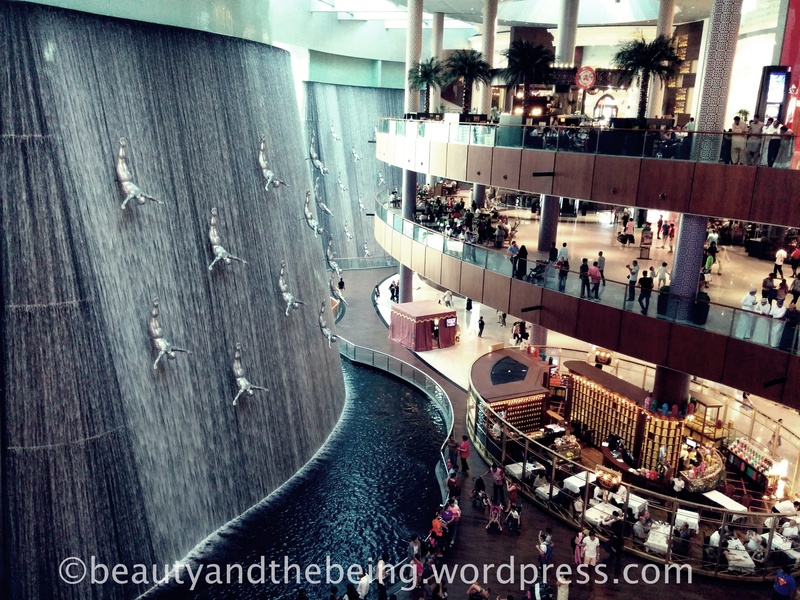 Shopping can be an overwhelming experience and a few people might even want to consider a separate day for shopping here at the Dubai Mall, but in case you are not that much into shopping don’t get bored/tired yet as there still a lot to explore. Once you are done with roaming around you could make an exit towards the Dubai Fountain and enjoy the spectacular water fountain show absolutely free of cost. Apart from that you could also enjoy a boat ride in the lake, enjoy the spectacular view of the World’s Tallest Building – The Burj Khalifa and last but not the least enjoy a romantic dinner at one of the finest restaurants of Souk Al Bahar. 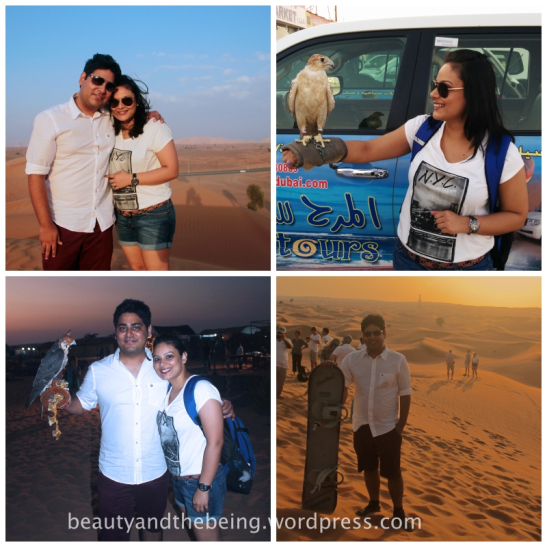 We had planned and booked for an evening Dessert Safari with Funtours Dubai and thus had the entire morning to laze around, but we wanted to make most of it and decided to wake up early and hit the beach. Usually the hotels have free transfers, but more often than not they are pretty full so we decided to hail a cab to Umm Suqeim Beach. There are several options for beaches in Dubai but many a times there is some construction work going on so better to check before hand. The time we were visiting Jumeriah Beach Park was shut. 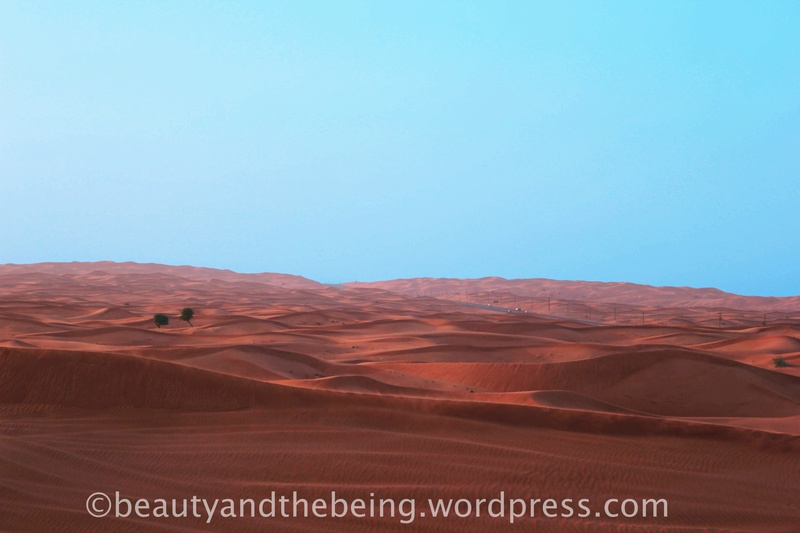 Another good alternate is to go to Al Mamzar but we chose to check out the short strip of Umm Suqeim as it gives you unobstructed, spectacular view of the Burj Al Arab and the water is absolutely gorgeous blue. After a great morning we headed back to the hotel for some breakfast and caught up on some sleep as we had a big evening ahead of us. Dessert Safari always attracts mix reviews. 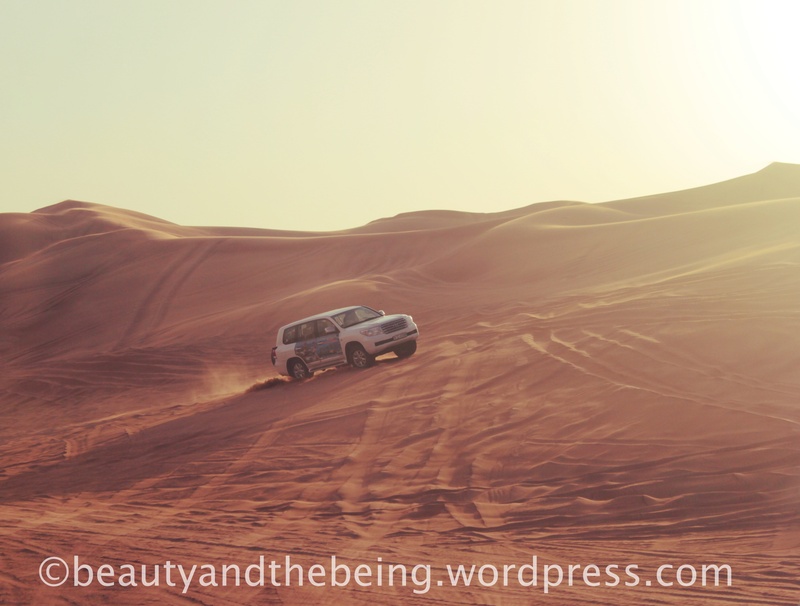 While I loved it, Ankita didn’t quite fancy it …but to cut the long story short – if you are visiting Dubai this definitely has to be on your to do list. There are several variants, you can tell the operators and slash off Dune Bashing if you have motion sickness or try for a slightly more expensive operator who has a better camp and doesn’t promote dune bashing at all. 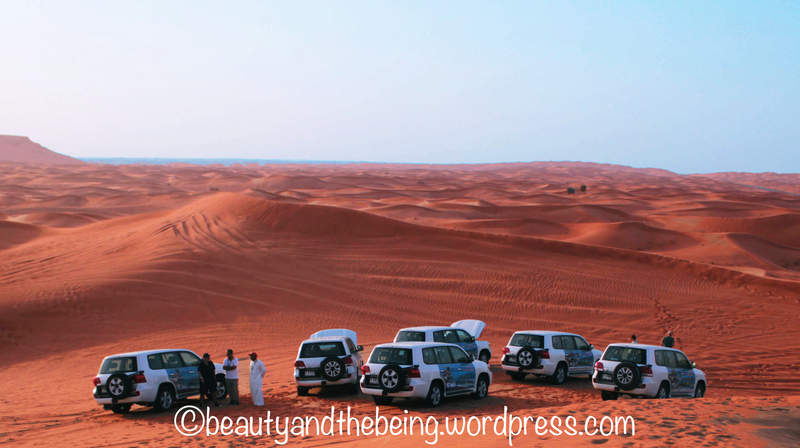 There are private tours as well, but in case you are an adrenaline junkie then Dune Bashing is something you will absolutely love. Vastly different from the rest of Dubai, Old Dubai is a place that gives you a little sneak peak into Dubai’s past. 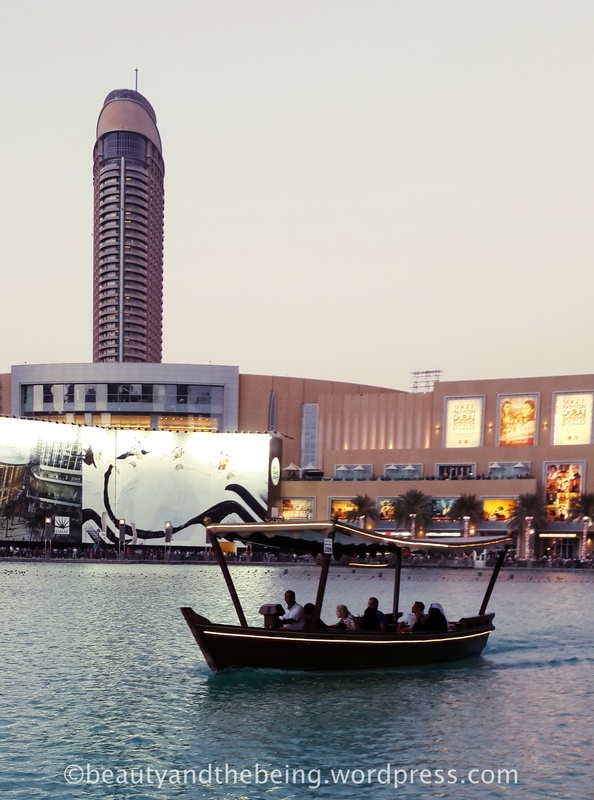 From the museums to art cafes, from abra rides at the creek to shopping at the souks, this place will take you to a completely different world altogether. You can kick start your day with a healthy breakfast at the Arabian Tea House and then set out to explore the Old Dubai all by yourself. Check out the magnificent old structures with traditional wind catcher at the Bastakiya Quarters where the narrow alleys will take you to a few beautiful art galleries. Very near to this is the Dubai Museum and the Old Souk where you can shop for some souvenirs and then head out for an extremely cheap but cheerful Abra Ride to the other side and explore the Spice Souk and the Gold Souk. If the morning is rather sunny it would be better to spend the morning indoor and head out for the above mentioned activities towards the evening. One could also easily fit in a visit to Meena Bazar and Al Karama and end the day with a sumptuous curry and kebabs dinner at the legendary Ravi Restaurant. 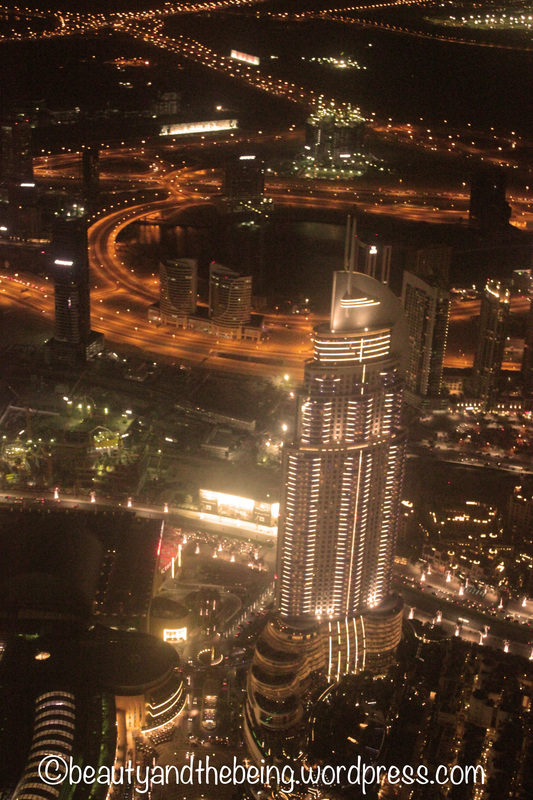 It’s always advisable to pack gloves, warm hats and mufflers when travelling to Dubai. No seriously, just incase you plan to go to Ski Dubai :). 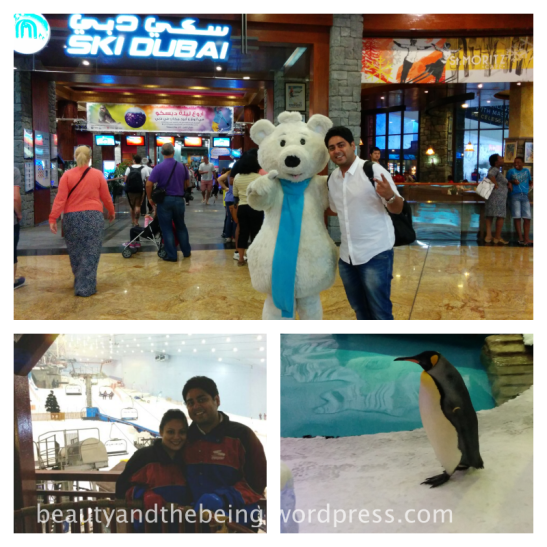 Yes, Dubai has an indoor ski resort nestled inside the Mall of Emirates and the place is so huge that it has expert style slopes for the ski enthusiast, a snow park with a variety of fun activities, a never ending chair lift and encounter with the Penguins. For more info on packages check out this link. After spending a good 2 to 3 hours in the freezing cold Ski Dubai we headed out straight to Souk Madinat, a modern day recreation of a traditional, ancient Middle Eastern market place or the souk. The architectural design is marvellous. 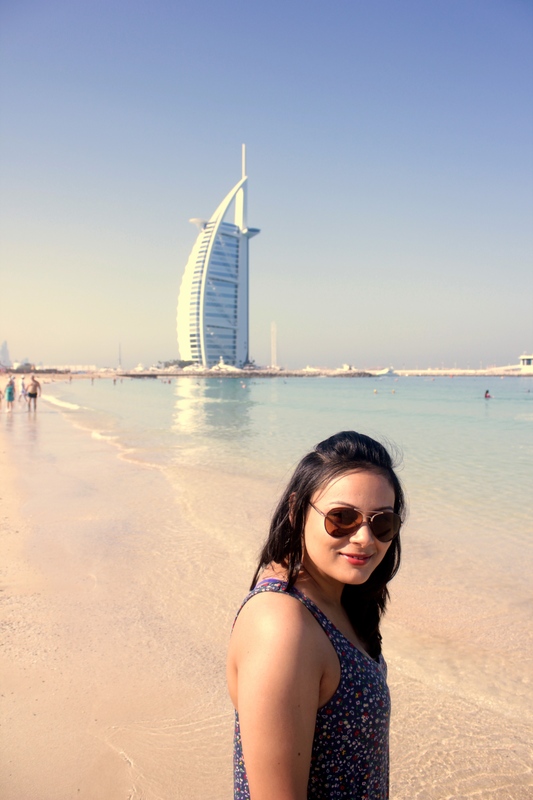 From the wooden arches to the waterfront cafes and from the colourful shops selling some really interesting souvenirs and artefects to the abra ride in the lake with a spectacular view of Burj Al Arab is just fantastic. 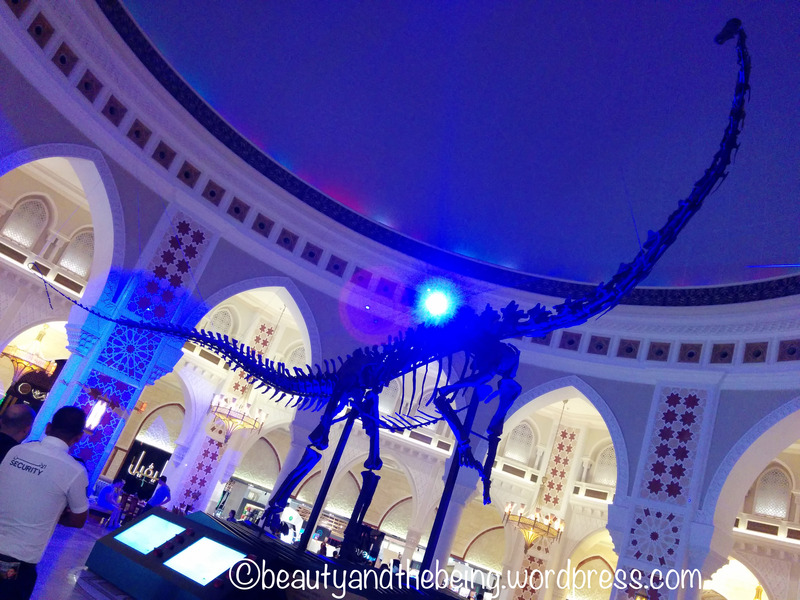 Madinat has outdoor as well as indoor sections so just incase the sun is too harsh you could still stay indoors and roam around the place and can step out outdoors once the sun goes down. There are numerous high end cafes and bars here with fantastic views. 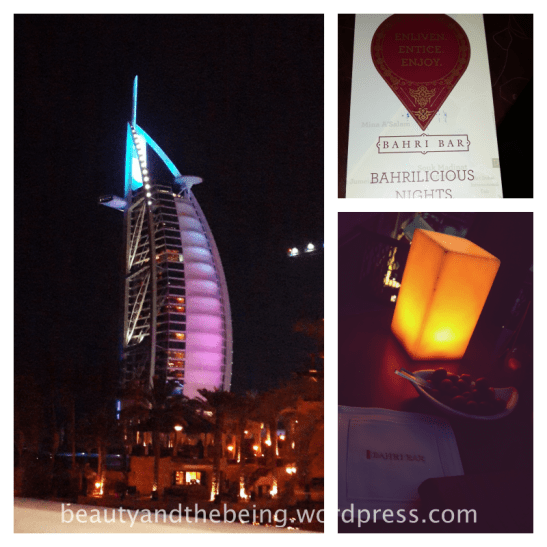 We chose Bahri Bar and can’t recommend it enough. The place is a delight and the service is simply impeccable. 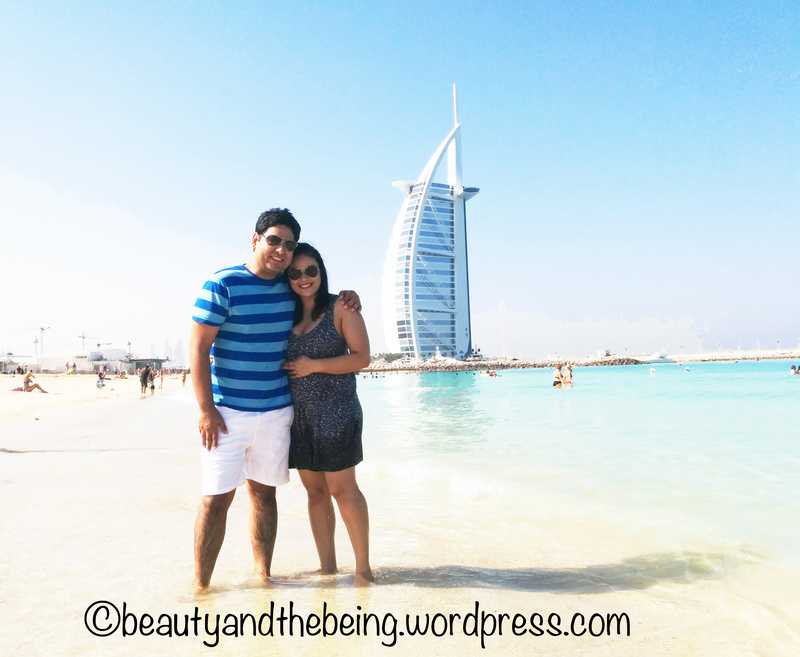 We had booked the best seats at the deck beforehand and thus got a spectacular view of the Burj Al Arab. They have an awesome selection of signature cocktails and great appetisers. The place does tend to get crowded towards the end of the evening so we suggest to show up before 7 PM incase you do not wish to reserve the table. Ah the last day!! 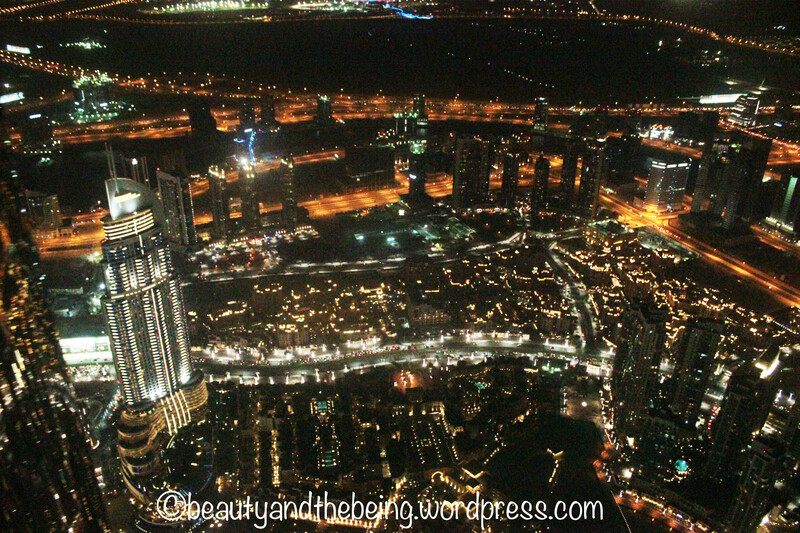 We got up really late as we wanted to go a little easy, had booked online for the At the top experience at Burj Khalifa for the late evening and had the entire day to laze around. 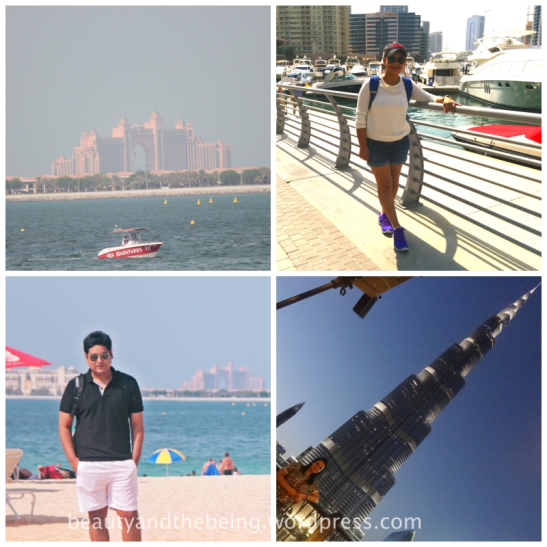 we chose to go to The Walk and have a late breakfast and strolled around the beach…got a glimpse of the Atlantis too from far away…wandered around the Marina Mall and took Dubai ferry ride which is not be missed at all and in the end wrapped the day and the trip with amazing views from the top of the Burj Khalifa. 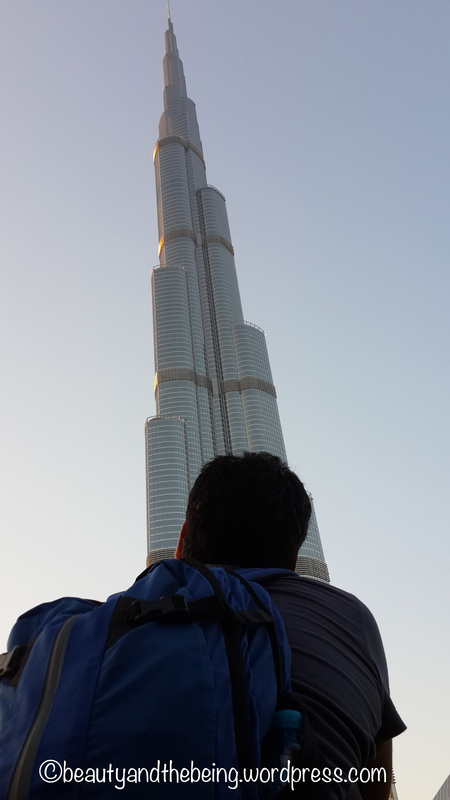 I know there’s so much more to explore yet in Dubai and I’d love to hear of suggestions and places to visit and see if you’ve ever been to Dubai… please do leave behind comments and suggestions for us below ‘coz we’d LOVE to hear from you! Ah! I’ve been once and i would love to go again! It’s just a bit too hot for me, but it looks amazing and now that i’m older i’m sure i’d enjoy more! 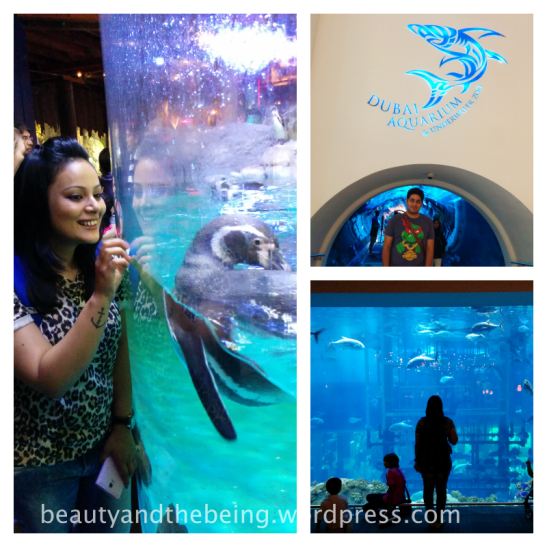 You bumped into penguins in Dubai!! Does it get any better than that!!?? Lovely, informative write-up! You Helped me plan my Itinerary to Dubai..Thanks Guys. So glad we could help! Thank you so much for reading & we hope you have an amazing time….we’d love to know how your trip went! Can you let us know your accommodation details. Have you stayed in the hotel for all 7 days ?